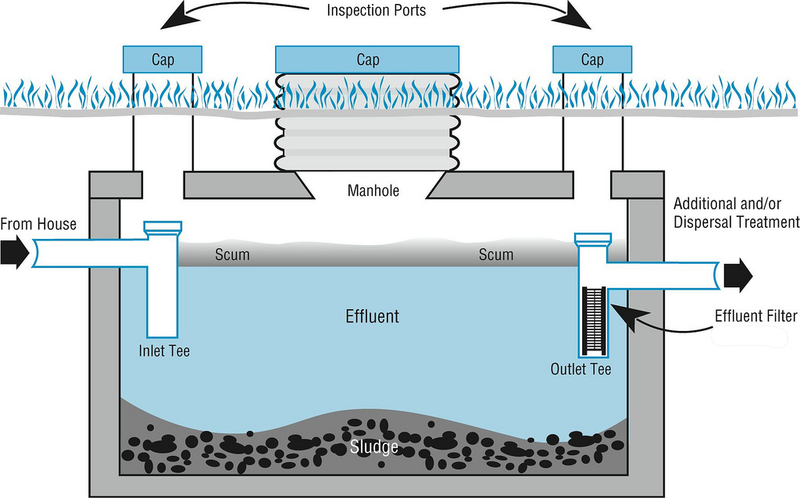 Septic tank care and what homeowners should be aware of. We recall that the septic tank has to have cleanings, also known as pump outs with regularity. When I was a child, my friends and I used to play on the large sewer pipes that were being installed in various places around town . Those were the same white pipes that we see today that cause aggravation when the traffic must be diverted or alternately halted while being installed. The City does these new installations, repairs, renovations, and even cleanings for those pipes at various intervals to maintain the sewer system for the city. 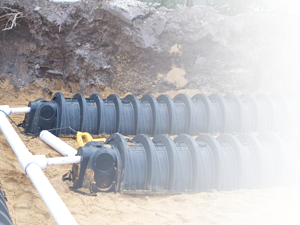 Similarly, those of us with septic systems must go through some best practices techniques to keep up with our system. 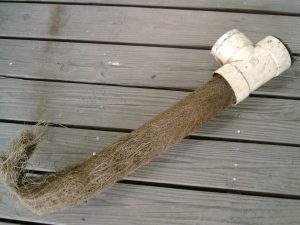 Some of these techniques are not exclusive to septic systems, but they are necessary conditions in order to maintain proper septic tank care. A practice for all is to have good water conservation habits. Water conservation will reduce the wastewater amount that must be treated and will put less stress on the septic system. An easy beginning for conserving water is to detect and repair any leaks in plumbing, faucets, or toilets. Also, installing water efficient plumbing, fixtures, and fittings is helpful. If you put grease, motor oil, cooking oils, or fats down your sink, STOP! Any added grease or petroleum products to your plumbing will cause clogs by sticking to the inside of pipes. Eventually the build up in the pipes will cause backups, overflows, or affect the drain field. Don’t allow harsh chemicals, sudsy detergents, non-biodegradable bleach and cleaners, or antibiotic medicines to be poured into the plumbing. These items interfere with the breakdown of the solids in the tank. Eliminate or minimize garbage disposal usage. The introduction of matter that is not broken down in the septic tank causes the need for additional pump outs. The inclusion of egg shells, animal bones, coffee grounds, fruit peels and rinds, and home brewery waste and other garbage will diminish the efficiency of the system. Do what you can to encourage bacterial growth in your septic tank system. The purpose of bacteria is to devour the septic tank solids. The excretory products of the bacteria are liquids and gases. Then the waste of the bacteria, remaining solids, and undigested sludge are to subsequently be pumped out. Keep in mind, Lapin Services offers a product to aid in bacterial growth for your tank. All of these suggestions will assist you with proper system function. 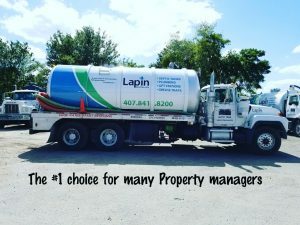 Doing the right stuff, together with the excellent technicians and staff at Lapin Services, will provide much needed tender loving septic tank care.